VATICAN CITY (AP) -- The Vatican got a report card Wednesday on its efforts to be more financially transparent — but it's a secret for now. A Council of Europe committee in Strasbourg adopted a report by independent inspectors examining the Holy See's efforts to comply with int-ernational standards to fight money laundering and terror financing. The Vatican submitted itself to the Moneyval evaluation process more than two years ago after it signed onto the 2009 EU Monetary Convention and in a bid to shed its image as a financially shady tax haven whose bank has long been embroiled in scandal. Since then, it has written and rewritten a law criminalizing money laundering, created a financial watchdog agency and ratified three anti-crime U.N. treaties, among other measures. The moves have all been designed to comply with the 49 recommendations of the Financial Action Task Force, the Paris-based policymaking body that helps countries develop anti-money laundering and anti-terror financing legislation. The Moneyval report card delivered Wednesday checked off whether the Vatican was compliant or not with the recommendations. In recent weeks, Italian news reports have suggested that the Vatican would break even on the 16 critical "core and key" recommendations from the broader 49, getting a passing grade on eight and a non-compliant or partially compliant grade on the other eight. If a country gets 10 or more bad marks, it has to submit itself to a more rigorous verification process during the next two years. The main concern going into Wednesday's plenary meeting was whether Moneyval's 29 other member states — mostly small countries such as Albania, Latvia, Israel and Slovenia — would amend the original report in a more negative direction and push the Holy See over the non-compliant threshold. Italy is an observer at Moneyval, and has indicated it doesn't think the Holy See deserves to be on the so-called "white list" of financially transparent countries. Italian prosecutors have placed the Vatican bank's director general and ex-president under investigation for alleged money-laundering; the Bank of Italy designated the Vatican bank, known as the Institute for Religious Works, an off-shore bank, requiring Italian banks that do business with it to go through more rigorous checks. And earlier this year, JPMorgan closed its Vatican account altogether; the Vatican says it did so under pressure from Italian regulators. While the criteria for rating compliance is supposed to be objective, such developments may have influenced committee members as they reviewed and amended the report, which must be adopted by consensus. In addition, the Vatican has been besieged by a scandal over leaked documents that have alleged, among other things, corruption in the awarding of Vatican contracts, and exposed internal debates over the scope of the new anti-money laundering law. The Vatican bank's chief was also ousted last month for failing to do his job and for actually impeding financial transparency, according to the bank's board that ousted him in a no-confidence vote. Technically that development shouldn't have factored into the report since the cutoff for compliance was set in January. But it may have created an impression, either positive or negative. The Holy See, however, recently began fighting back: Just last week, the IOR, as the bank is known, opened its doors to a group of journalists for the first time and showed off its customer due diligence measures, anti-money laundering checks and other procedures that it says have been in place for years. Similar presentations were given in recent weeks to ambassadors accredited to the Holy See. The Vatican spokesman, the Rev. Federico Lombardi, declined to comment on the substance of the Moneyval report as did a spokesman for the Council of Europe. But Lombardi said he was "serene and hopeful" that the Vatican was on the right path. 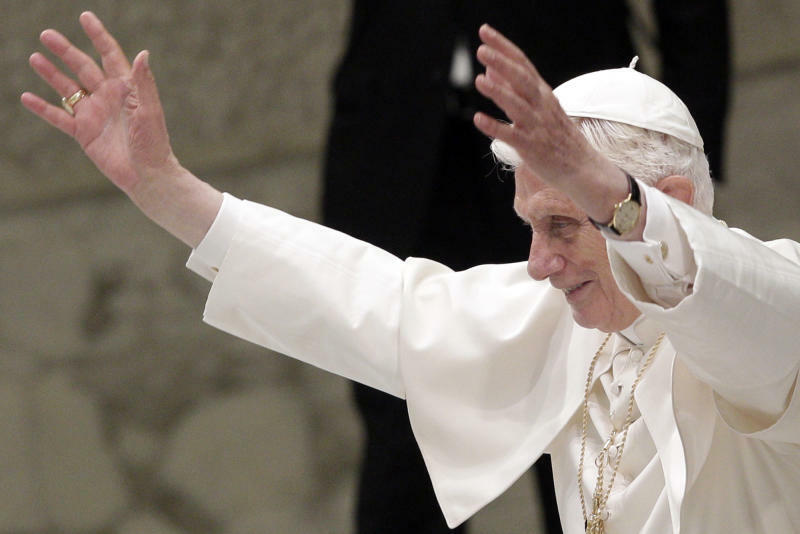 He stressed that it was a significant move for the Holy See to embark on the Moneyval verification process to begin with, and that Pope Benedict XVI himself wanted it.